These are great and colorful worksheets about German colors. Print the first page as a poster. You can use this in Preschool or with kids in 1st and 2nd grade or simply for beginners. I use this for German as a foreign language. 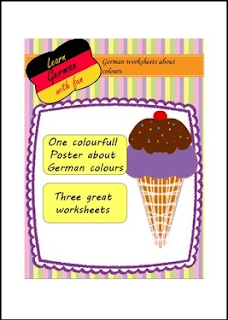 It helps your kids to learn German with fun!